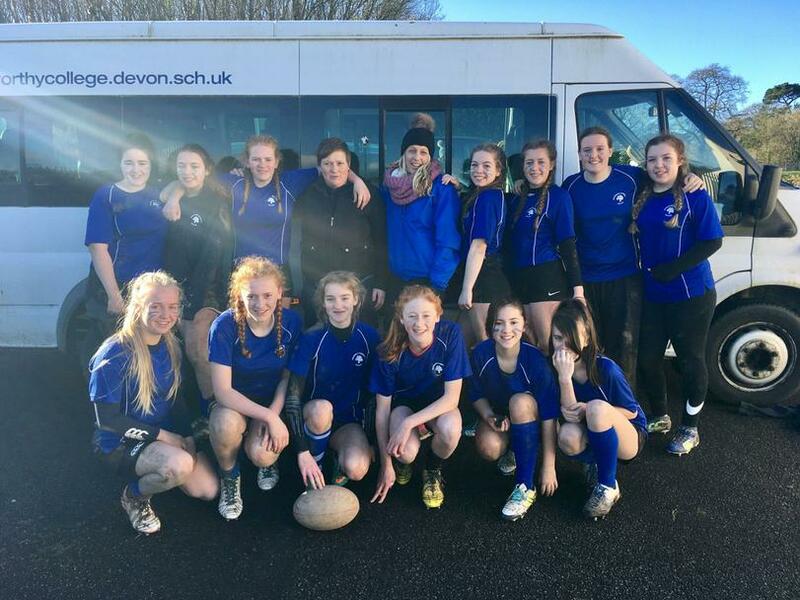 On Friday 26th January we attended our first rugby tournament at Bideford College, but we didn't realise until we got there that it was a tournament with 6 teams entered. Like a lot of our team members, many of the other players hadn't played before. Sophie won the toss (which consisted of rock, paper, scissors) so we could decide whether to kick off or receive. Unfortunately, we lost the first game against Chulmleigh 3—1, but Issy scored a fantastic try on the wing and Maddie was awarded Player of the Match. The second game was against Park, who played a combination of two teams. Again, we lost this match 4—0 with Paige winning Player of the Match. The third game was against South Molton A team and we managed to win this one 2—1, with Hester scoring her first try and South Molton having a try disallowed. Issy was Player of the Match. The fourth game was against South Molton B team and we won this one 5—0. There was some brilliant play from the team with Kerri and Lucy’s tackling, Louise’s kicking and Issy’s running! Player of the Match was Kerri. The fifth game against Bideford, was the hardest as they had the most experience, but we won 2—1, with Lucy as Player of the Match. We drew third in the table, which meant we made it through to the county finals at Topsham in March! It was a brilliant day for girls’ rugby and for all involved from HCC. Many thanks to Miss Goldsworthy for entering us, taking us and helping on the day. Also thank you to Jude Daniel for giving up her time to do the coaching.